Q: Tell us something of your career in the hospitality industry Candace? A: After graduating with a degree in International Business Management, I began my career with the Akkeron Hotel Group in Richmond, London. It was here that I gained invaluable experience working in a demanding, fast paced environment, building relationships with a number of high profile guests. In 2012, my fiancé and I relocated to Cornwall realizing dreams of living by the sea! 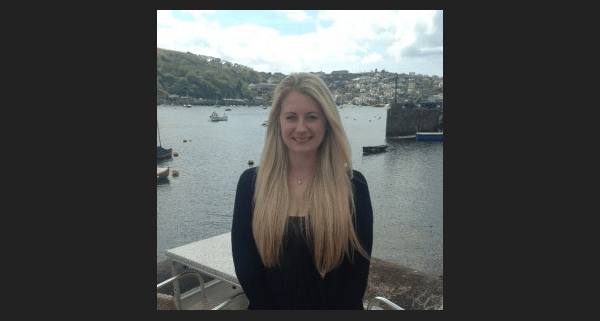 I was lucky enough to have been given the opportunity to expand on my experience in the hotel industry by working as Spa Manager for The Newquay Hotel Group before settling in Fowey. I am now into my second month at The Old Quay House and loving every minute! A: I find it very rewarding being involved in creating the perfect escape for each of our guests and helping them make some great memories! I am a firm believer in the healing power of a holiday and understand the importance of ensuring that every break away is quality time well spent. A: I don’t have an answer for this one yet – I haven’t been here long enough! A: Vivienne Westwood, Marilyn Munroe and Aretha Franklin… style, sass and soul! A: Apart from a compass, a parrot, an eye- patch and a lifetimes supply of rum! It would have to be my Fiancé Quenton, my little dog Buddy and a barrel of sun cream!!! A: Holidaying is by far my favorite hobby! Earlier this month I was in Barcelona – I’ve already started work planning my next adventure – hopefully Hawaii! A: Champagne and Shopping usually do the trick!